I took some time out on Friday to head up to the allotment. I had no particular plans, except perhaps a little tidying up and taking the last of the rotted manure from my compost bay to fill the barrels and tyres I have scattered around the plot. If you need more growing space, I recommend getting yourself some old tyres. Stacking them up on your paths and filling them with compost or well-rotted manure is a great way to grow courgette, pumpkin and squash plants. A rubber tyre retains moisture and helps keep young plants warm, and while the courgette crisis wreaks havoc across Europe, you can ponder the excitement of harvesting these treasures just a few months from now, straight out of Michelin 17.5” special. Man and machine, working in perfect harvest. So that was my plan; a little work and a lot of daydreaming. With the compost bays emptied, I spied some unclaimed manure at ‘Pooh Corner’. Had I missed something? Was this a trap set by the old boys? If I set my fork into the brown gold, would a net swipe from underneath me, only to suspend me from a nearby tree with the old boys emerging from the woods chanting ‘Nub Nub’ like the Ewoks from Return of the Jedi? No, this was to be a good day, so I took my share of the manure. With a freshly filled bay, I returned home, only to discover a surprise delivery from Dalefoot Composts. 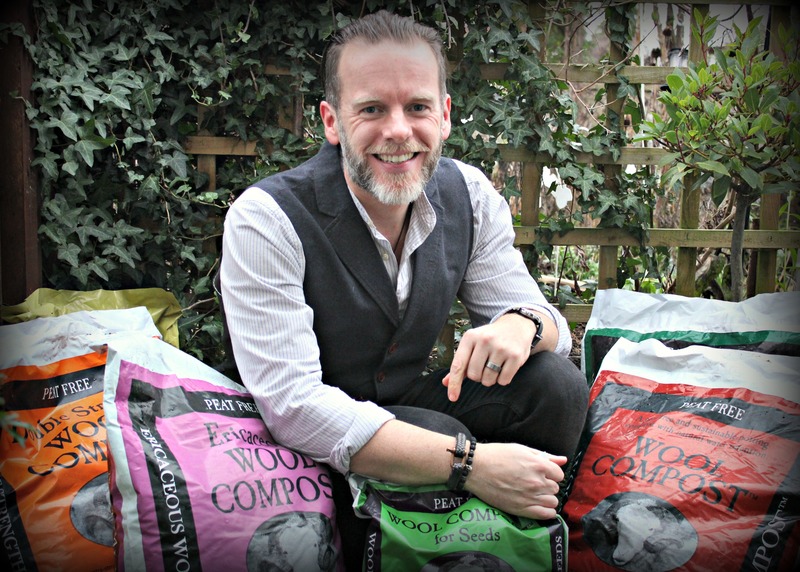 We’ve heard great things about their peat-free wool composts, and can’t wait to try them out! So this weekend, I’m all smiles, and as happy as a pig in sh*t! Oh, this made me laugh out loud! So glad the manure wasn’t part of a trap set by the old boys. What a great way to start the week, especially as lately there hasn’t been much to laugh about in the U.S. Thanks for the laugh I needed it. 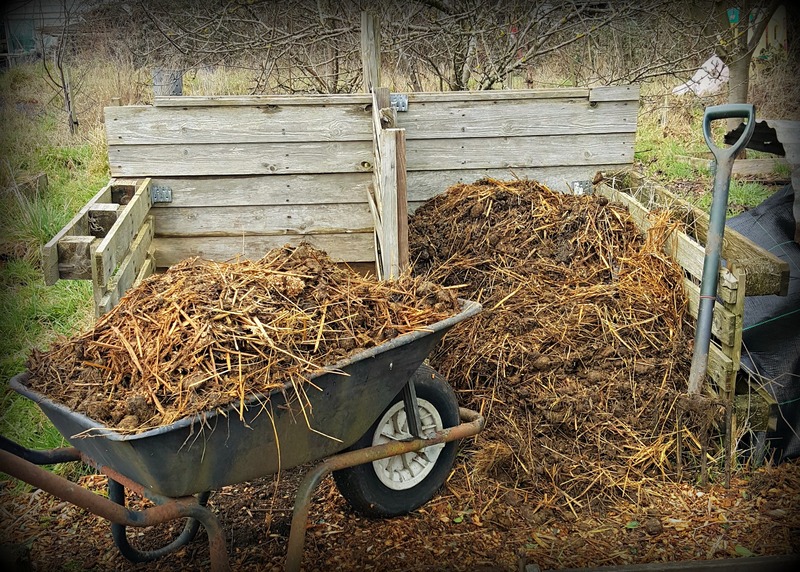 Who would have ever thought that manure would be so revered and treasured in our lives? Any gardener knows that It is the building block for a vegetable garden. It sound like your just itching to get started this years growing season. I will be interested to know how the wool compost works for you! Watch this space! I’ll be blogging about the wool compost very soon.